Tamil Nadu Chief Minister Jayalalithaa passed away at 11.30 p.m. on Monday at the Apollo Hospitals, Chennai. She was 68. The mortal remains of Jayalalithaa will be taken to Poes Garden first and after completion of rituals , will be taken to Rajaji Hall on Tuesday. Arrangements are being made at Apollo Hospitals to take her mortal remains to Poes Garden, Jayalalithaas official residence. The government has announced three days holiday in view of the mourning period. Her health took a turn for the worse when she suffered a cardiac arrest on Sunday evening at the Apollo Hospitals, Chennai, where she had been undergoing treatment since September 22 for dehydration and fever. She has been on extracorporeal life support since then. 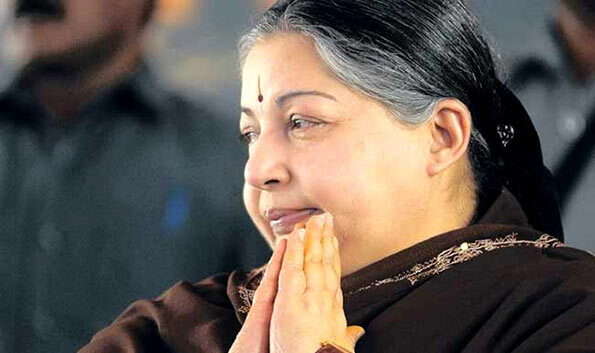 Early on Monday evening, a few television channels erroneously reported that the Chief Minister had died, triggering emotional responses among AIADMK cadres assembled at the Apollo hospital premises and at party offices across Tamil Nadu. The hospital then released a bulletin that she was continuing to receive life support treatment. one of the three iron lady, margerat , indra and jaya.tn’s indra gandhi. well literate.bold decision maker and powerful, courage politician in indian history i have ever seen.rest in peace.